ChinaAid note: The following article was written by ChinaAid and published in the physical edition of the Midland Reporter-Telegram on Sunday, April 29, 2018, and in the online version on April 30, 2018. As China puts up the front of a strong, modern nation, dark abuses lurk beneath the surface, pulling it backwards to the time of Mao Zedong’s oppressive Cultural Revolution. The Cultural Revolution, which lasted from 1966-1976, served as a major turning point in Chinese history. Out of it sprang a fresh vigor for catapulting China into a modern, communist nation via eliminating dissenting voices and unifying ideology around Maoist thought. Those who objected or held jobs deemed contradictory to Communist Party ideals were tortured or killed. In the years following Mao’s death, his successor, Deng Xiaoping, saw the faults in his policies and dismantled many of them. But the abuses never stopped, even as China swelled to global economic prominence. Now, Chinese President Xi Jinping walks a dangerous precipice: his rule is poised to tip China back into another Cultural Revolution. banquet April 26, 2018, at Midland Country Club. In April 2016, Xi introduced the idea of “Sinicizing” religion, or trimming theological teachings until they aligned with the ideals of the Communist Party and asked officials across China to implement policies that restrict religion accordingly. Such Sinicization resulted in a revision of China’s Religious Affairs Regulations on Feb. 1, 2018, adding sections forbidding children under the age of 18 from entering religious venues, regulating who can start religious schools or accept students from abroad to study religion, specifying that religious activities must be held in government-approved locations, etc. For many religious institutions that value their freedom, this is a death sentence. The new regulations leave little parameters for Christians to meet in China’s unregistered “house” churches, which blossomed in the margins left open for interpretation in the old regulations. Now, Chinese officials are routinely cracking down on churches, declaring their meetings illegal, and arresting, torturing, and sometimes even killing their members. The government-registered Protestant churches, known as “Three-Self Churches,” barely fare better. Although they are technically legal, they routinely undergo censorship, including the forced installation of facial recognition surveillance cameras and the reviewing of sermons by Chinese officials. Additionally, if these churches stand up for their rights in any way, they too face beatings, monitoring, and arrest. 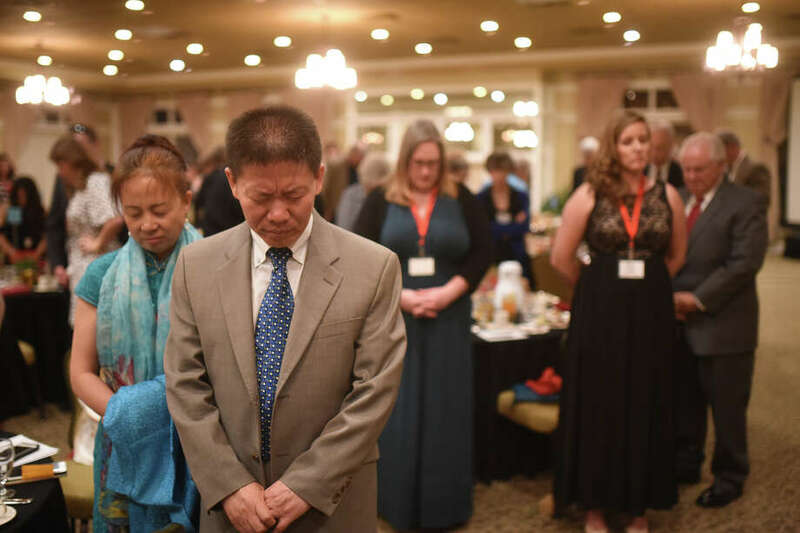 This widespread suppression extends beyond Christianity and includes Tibetan Buddhists, Uyghur and Kazakh Muslims, and practitioners of various spiritual practices throughout China, such as Falun Gong. In China’s northwestern Xinjiang Autonomous Region, where predominantly Muslim ethnic minorities compose more than half of the population, the government often purposefully labels the actions of peaceful devotees of Islam “extremist” and polices them on falsified terrorist suspicions. More ominously, a network of “political training centers” and “anti-extremist training centers” have sprung up throughout the region in the past few years, and Chinese officials are filling them to overflowing with Kazakh and Uyghur prisoners who traveled abroad or were charged with trumped up charges. Such centers employ torturous measures, such depriving prisoners of sleep and strapping them into painful positions, and we recently verified a report in which 20 inmates had to be hospitalized after suffering mental breakdowns. The hospitalization, however, was an authoritarian attempt to evade scrutiny, as they should have been sent to see qualified mental health professionals in psychiatric wards instead. Chinese citizens are permitted the right to a lawyer, but those who defend human rights often face just as arduous of a road as their clients. Just for representing people victimized by the government, lawyers are often face lengthy prison sentences, torture, and even execution. Last February, renowned Christian human rights lawyer Li Baiguang died after visiting a doctor because of stomach pain. Hours later, the hospital claimed he died of liver complications and hastily cremated his body, ruining any hope for an independent autopsy to be conducted. Shortly before his death, a team of men abducted Li from a hotel in China’s eastern Zhejiang province, where he was staying while representing farmers whose land the government had illegally acquisitioned. They took him to a forest, where they beat him, threatened to dismember him if he did not leave by 10 a.m. the next day, and then abandoned him in a field. Police investigations later revealed that the car they drove belonged to a female official. Li’s legacy is carried on by many others in China, but they often languish behind bars. Wang Quanzhang, a lawyer who was taken away in a 2015 crackdown on those who defend human rights, has not been heard from in almost three years. His wife, Li Wenzu, recently organized a protest march to try to get information about him. Followed by supporters, media, and carrying her young son, she set out on foot from Beijing to Tianjin — where she believes he is being held—planning to walk the more than 70-mile distance. A week after she started, officials intercepted her, escorted her back to Beijing, and placed her under house arrest. Because of cases such as these, we collect year-by-year statistics on the Chinese government’s abuses and publish our findings in our Annual Reports, which can be found at chinaaid.org. While we have seen consistent increases in persecution across the years, there has been a particularly alarming uptick in government suppression since Chinese President Xi Jinping took power in 2013, with the number of persecution cases tripling since then. Considering these factors, the year ahead is expected to be brutal for the religious citizens residing in China. Officials are using the new Religious Affairs Regulations to enforce Sinicization and unjustly harass and arrest innocent citizens. Additionally, the Vatican is poised to mend a decades-old rift between itself and the Chinese Communist Party and assist in appointing bishops for state-run Catholic churches. This paves the way for the Vatican-loyal unregistered bishops to be replaced by those approved by the Communist Party and possibly gives the Chinese government the backing it needs to suppress unofficial churches further. In response, we will continue to raise our voices for those China tries to silence and expose the abuses happening, encourage the abused, and equip the targeted to effectively take a stand for their rights. We will also take their stories in front of prominent governing bodies such as the U.S. Congress and EU and UK Parliaments in order to urge policymakers to intervene on their behalf. Above all, we know that by pushing back, we are clearing the way for people in China to experience the full extent of their freedoms and fighting against China’s impending relapse into a second Cultural Revolution. We do this in hope that one day, every person in the world will be free.